Scout Report - David Neres: Brazil's next poster boy? It seems like Brazil, the land of Joga Bonito, never stops producing mercurial talent. And the 20-year old David Neres looks like the next big thing from the country. 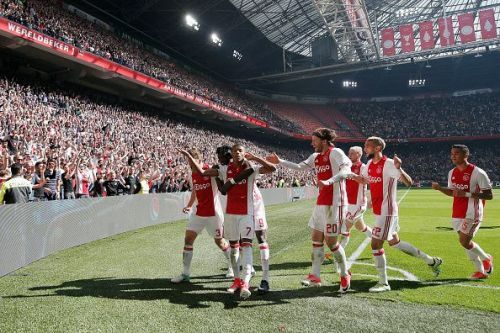 Ajax, though 5 points off the top of the table, have scored the most goals(54) in Eredivisie this season and David Neres has had a hand in 15 of them from the right wing. With Neymar no more a mere prospect and Coutinho earning his dream move to Barcelona, Neres looks set to become the next poster boy of Brazilian football. 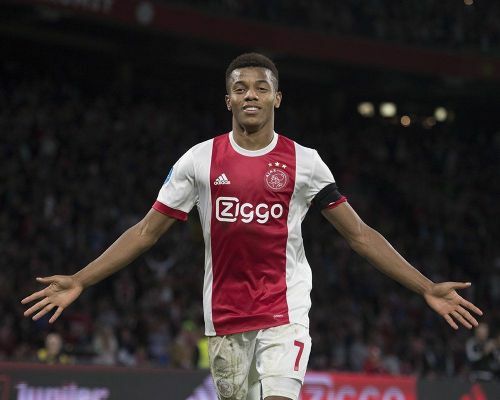 And with how things have panned out since his move to Ajax, it isn't far-fetched to say that he is well on his way to becoming that. With the regular winger Amin Younes struggling currently, David Neres snatched the starting spot of the right winger in the team and delivered instant results. He also struck a wonderful partnership with the fellow winger Justin Kluivert along the way and both of them had a direct impact in mounting the title challenge for Ajax. Neres came through the Sao Paulo's youth system. Only a shoulder injury prevented him from starting for the senior team early on. Once he got into the team, he got his first goal after a month. His second came against Corinthians in a 4-0 win which made him an instant fan favourite. His performances soon earned him a call from the U20 Brazilian team. He quickly became so crucial for Sao Paulo that they once even recalled him from national duty for their league exploits. His performances caught the eye of the Ajax chief scout Henk Veldmate and after watching a few of his performances, they decided to splash the cash on him. The €12 million they paid for him was their second most expensive transfer ever. Naturally, the fee was bound to turn many heads and along with it attract a lot of pressure. But just like on the pitch, he took it well in his stride and performed brilliantly for Jong Ajax(Ajax's reserve team), instantly earning a call for the senior team again. Neres primarily operates as the right attacking midfielder. Most of his starts have come as right-winger and a few of them as a part of a midfield three. He loves to thread in through balls and has a good cross in him whenever required. He seems to be very composed for a player of his age and experience as his decision making has been on point until now. He knows when to cut in and take a shot or when to be available for a cross. He also uses his runs effectively and is surprisingly good in sprinting over long distances. And just like Justin Kluivert, he has an eye for the goal. He scored 8 goals in the league with a shot accuracy of 72%. In comparison, Jesse Lingard, who is having an amazing season for Manchester United, scored 7 with a shot accuracy of 58%. Many of his goals have come at vital points in games rather than when the team has already won. The goal against Corinthians and Feyenoord are examples of his big game performances. He also loves to create chances for his strikers. He created a total of 36 chances in just 16 league games, averaging over 2 chances created per match, which are great numbers for a winger. He is at 9 assists halfway through the season and is bound to soon hit double figures in no time. As an attacker, Neres doesn't have many weaknesses to his game which is a testament to his maturity levels. But the modern footballer is expected to do more always, especially in the system of total football that Ajax plays. His defensive side of the game needs to be improved if he wants to add more dimensions to his arsenal. His work rate and pressing off the ball are very high but he needs to work on his defensive positioning a lot more to conserve his energy for the offensive press. Neres is ticking all the right boxes at Ajax and his manager Erik ten Hag couldn't be happier. 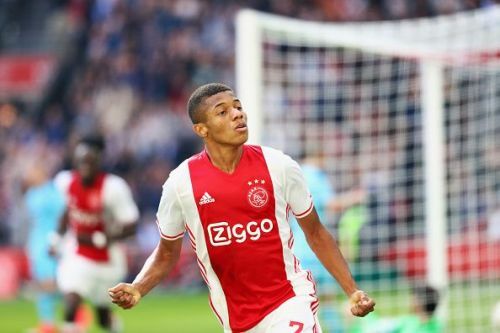 With Ajax sitting second in the league, this is a great opportunity for Neres to become a clutch player and propel his team to the top of the table. With age, his core strength and decision making will improve and this will enable him to make a move to a bigger league to showcase his talents to a wider audience one day. And after the kind of intense performance that he gave in the Europa League final against Manchester United last year, it would take, god forbid, a catastrophic downfall in form or a horror injury to derail his burgeoning career.